Revenge of the Mummy at Universal Studios Florida is a great tribute to the original movie, Revenge of the Mummy. This ride is thrilling and down-right scary. As you run from the evil mummy Imhotep he’ll be trying to stop you with everything in his power including swarms of insects, warrior mummies, and fire! Revenge of the Mummy is so intense you can feel the heat from the flames just before you plunge straight down into the dark unknown. 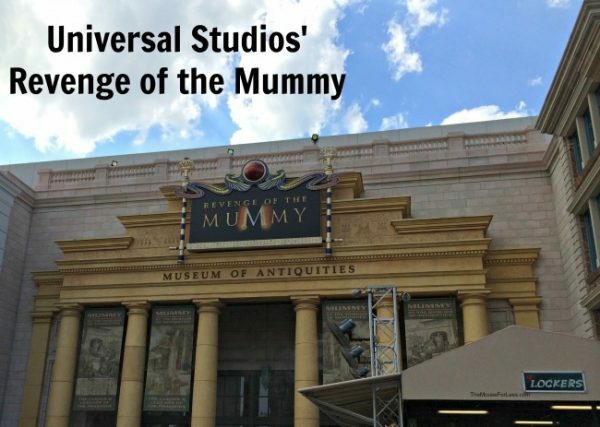 Wheelchairs: Anyone is welcome to ride Revenge of the Mummy, however guest riding in wheelchairs (EVC) will need to be able to transfer to the ride itself. 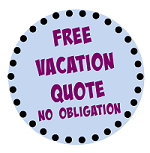 For more information on disability accommodations please visit our disability assistance page. Safety Restraints: Riders must be able to sit safely and securely in the safety restraints. Restraints include lap bar, shoulder harness, and seat belts. For the safety of all riders, anyone who cannot properly be fastened into restraints will not be able to ride. Dining: Louie’s Italian Restaurant, Finnegan’s Bar & Grill, Ben & Jerry’s Ice Cream, & Starbucks. Shopping: The Film Vault, Rosie’s Irish Shop, & Sahara Traders. Although the “Kongfrontation” ride is no longer available at Universal Studios Florida, there are many reminders of it on the Revenge of the Mummy ride. Look for banana peels on the walls, a 3 foot tall-golden statue in the treasure room, & the permanent “tourist” wearing his “Kong Rules” hat. Did you know that some of the Egyptian hieroglyphics written on the walls of the ride actually translate to real warnings. When the park isn’t too busy you can ask the greeter at the entrance for a free production tour. You will be lead into the maintenance area of the ride where you can watch as the coasters roar above. The wait line can get up to an hour or more long especially in the middle of the day during peak season. 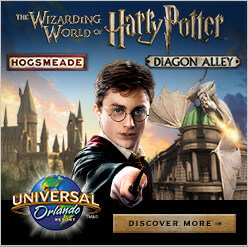 For current wait times for any Universal Orlando attraction download the official Universal Orlando Resort app. To view average wait times for rides and shows, click here.